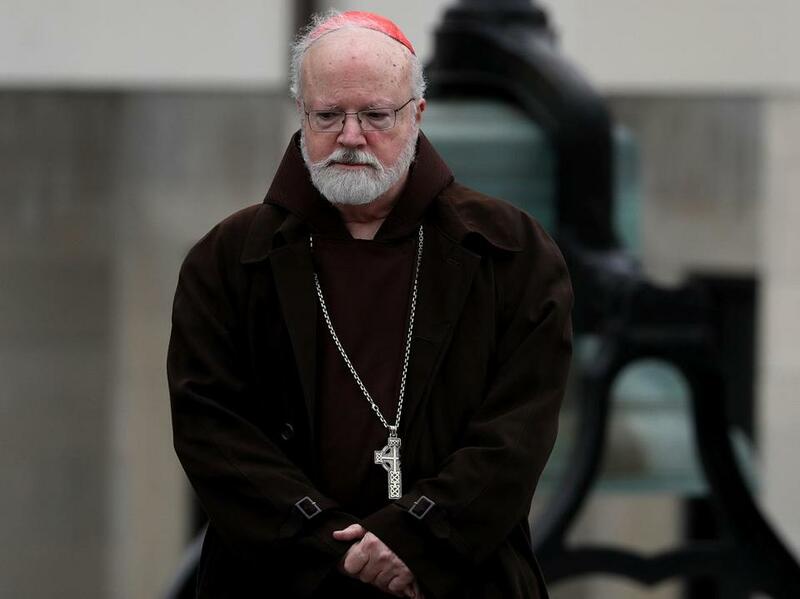 Cardinal Sean O’Malley said over the weekend in Rome that addressing the sexual abuse crisis in the Catholic Church “must be the priority that we concentrate on right now,” with survivors providing insight to Vatican officials. O’Malley’s remarks came at the conclusion of the three-day Plenary Assembly of the Pontifical Commission for the Protection of Minors, a group the Boston cardinal heads. His interview was published on the website of Vatican News, a publication of the Holy See’s media wing. O’Malley was apparently referring to the fallout from the resignation of Cardinal Theodore McCarrick, the former archbishop of Washington who stepped down in July from the College of Cardinals amid allegations that he sexually abused minors and adult seminarians. In August, O’Malley publicly apologized for the way his office handled a 2015 letter from a New York priest alleging sexual abuse by McCarrick. O’Malley’s secretary did not deliver the letter to the cardinal at the time, on the grounds that the commission is not empowered to deal with individual complaints. The investigation follows a recent Buzzfeed News article about child abuse at Roman Catholic orphanages, including St. Joseph’s in Burlington, which closed in the 1970s. Last week, retired Monsignor Kenneth Lasch of Pompton Plains, N.J., told the Globe that O’Malley’s secretary had “dismissed” his written concerns in January that a current priest in the Diocese of Paterson allegedly had seduced an 18-year-old man from Lasch’s parish in the mid-1980s. The commission has held more than 100 conferences throughout the world, O’Malley said, with major events forthcoming in locales that include Brazil, Mexico, Poland, and Colombia. Commission members are “trying to make the church the very safest place possible,” O’Malley said. O’Malley also faces scrutiny over recent allegations of sexual misconduct at a Brighton seminary that surfaced on social media. He ordered an outside review of the seminary. Material from The New York Times was used in this report. Brian MacQuarrie of the Globe staff contributed. Travis Andersen can be reached at travis.andersen@globe.com. Follow him on Twitter @TAGlobe.